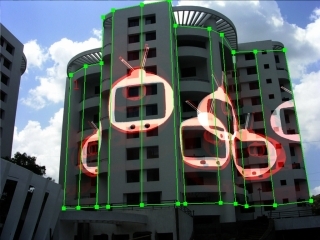 With the Projection Mapping feature, TextMachine 3D Output as well as video capture or screen input from sources like Video Player Applications, can be mapped to custom projection surfaces like: buildings, room corners, deco spheres & cubes, cylindrical screens etc. 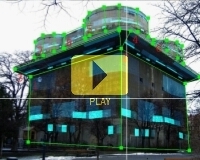 The mapping design occurs in real-time. 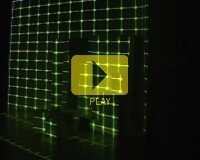 Once your projectors are setup in place, you can easily draw your mapping by clicking the target surface corners. 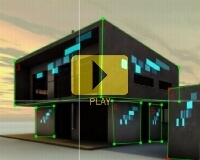 The designed Projection Maps and Masks can be animated easily by using keyframe technology. 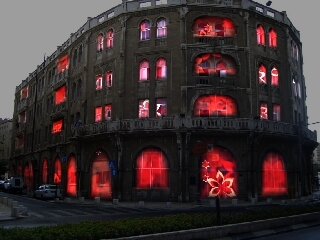 Projection Maps designed can be grouped and playback in freely configurable mapping sequences. 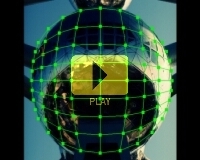 TextMachine 3D Presets can be linked to Projection Maps on playback. 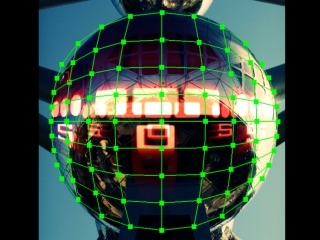 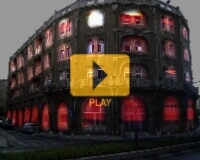 This functionality allows to program timed architectural projection mapping shows. 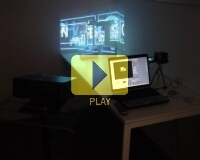 Example of Projection Mapping with TextMachine 3D below, and demo videos on the right.